In addition to the large school playground the school has gaiety enclave for the kindergarten. The enclave serves with a wide variety of play opportunities. 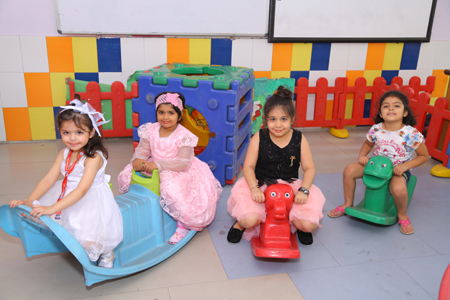 The kids play room is well with latest & energetic play equipments for our kids. Fun filled climbing around-safe & enjoyable even in a heavy downpour. 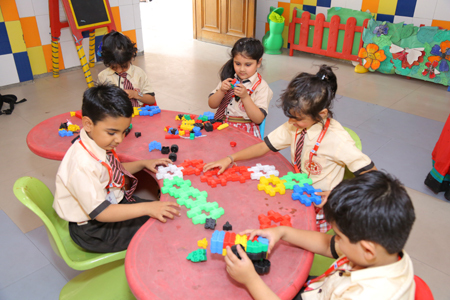 The well planned & safe play area ensures that the children have ample scope of fine & gross motor development & they are well occupied to stretch their growing muscles.